We are very grateful to have the ongoing support from Sudbury Parish Council as our project progresses. 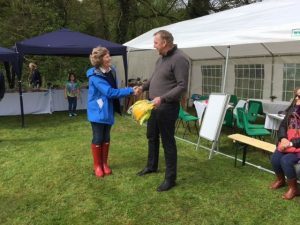 Here is a photo of our Chair, Gillian, at the recent Open Day, receiving a donation from the Parish Council of hi-vis jackets and hard hats. These will be put to good use on tours and site visits.